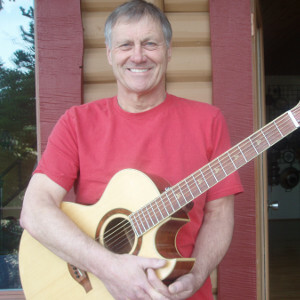 Doug Edwards, the guitarist for Skylark and co-writer of their hit Wildflower, has died at his home in Vancouver after a long illness. He was 71. Producer David Foster, who was a bandmate in Skylark, said "He was, always has been and probably always will be the best ‘pop’ musician Victoria has ever produced — a one in a million." Edwards was born in Edmonton and moved with his family to Victoria at the age 15 where he took up playing both the guitar and bass. After graduating from high school, he spent some time as the guitarist for the 5th Dimension before joining a band that would become Skylark. Early in their career, he took a poem written by David Richardson and set it to music, becoming the hit Wildflower. Recorded with Doug playing the famous guitar intro, the song went to number 9 on the Hot 100 and 10 in Canada along with topping that country's Adult Contemporary chart. While a moderate hit at the time, the song has gone on to even greater popularity both on oldies stations and in dozens of recordings by other artists. Skylark only stayed together for two albums and broke up in 1974. Foster said "I don’t know where my career would be today if I couldn’t have hung my hat on that first hit that I was associated with because of Doug, Dave Richardson and B.J. Cook, who got us our record deal. It certainly sped up the process of where I was trying to get to." (via Vancouver Sun). After Skylark, Edwards became a studio musician and, for the past two decades, has been the guitarist for Chilliwack. Edwards had triple bypass surgery on February 1 followed by cancer treatment. The song Wildflower was inducted into the Canadian Songwriters Hall of Fame in 2011. They said "Wildflower is one of the most performed songs in the history of Canadian popular music and has sold millions of copies, in more than seventy versions. It has been awarded a BMI Millionaire’s Award and SOCAN Classic and Crystal Awards. It has received over 2 million plays in the US and has been sampled on numerous hit urban music recordings." He is survived by his wife and a daughter.